This residence possesses a grandeur - both in scale and workmanship - of an earlier time. Through a recent redesign directed by CetraRuddy Architecture, the best aspects of prewar craft and detail have been advanced with a contemporary sensibility that builds upon the beauty that was originally there. The various components of the interiors of this unit have been thoughtfully selected to bring a pervasive sense of craft and quality to every item you touch or see. From solid turned brass knobs and rosettes in polished nickel by E.R. Butler & Co. to shagreen textured vanities, they are just one of the many premium-grade details found throughout each apartment. 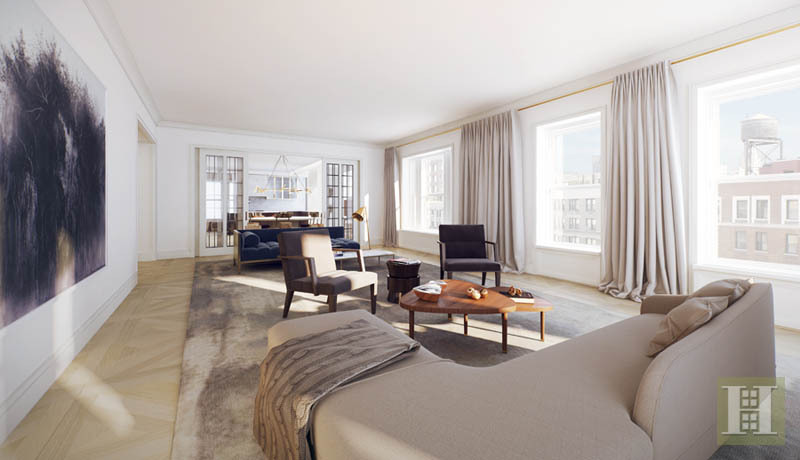 With 56-feet of frontage along West End Avenue, the kitchen, family room and great room are bathed in natural light. Custom-color solid oak, rift-and-quartered floors throughout all public spaces are a modern twist on the parqueted floors found in the grand homes of Newport, Rhode Island. The unique design of the parquet tiles is accentuated by their impressive 30-square-inch size. The living areas are distinguished from the kitchen by custom-designed glass sliding doors with inset divided lite glass panels, and thin metal mullions. The doors feature an ingeniously recessed sliding mechanism for ease of use - all framed in an artfully articulated molding. The kitchen embodies an artistry and craft that exceeds the highest standards, while presenting a series of innovative design concepts not seen or experienced elsewhere. From the outstanding millwork in custom chocolate-stained oak with contrasting cream-colored ceruse, to a single-slab marble hearth wall that conceals the range hood, every facet of the kitchen is designed to deliver equal portions of elegance and functionality. 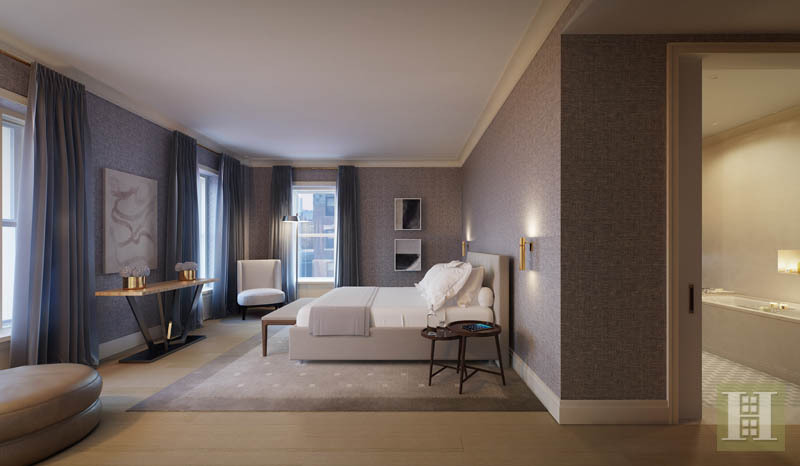 The master bedroom contains an en-suite, five-fixture bath - and every room features brand-new, energy-efficient windows. A superbly orchestrated medley of subtle colors and unexpected textures creates a serene sanctuary. Possessing a winsome richness of detail, the master bathroom features mosaic marble floors and custom glasswork, furniture-like, shagreen textured vanities, and an eclectic mix of metals. 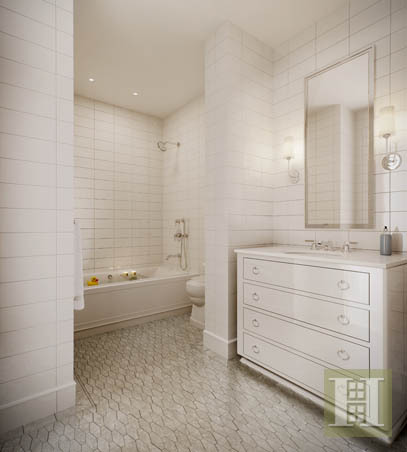 The secondary bath features a marble mosaic floor, white lacquer vanity with functional drawers, and decorative nickel ring pulls. The nickel-framed medicine cabinet is flanked by polished nickel sconces. 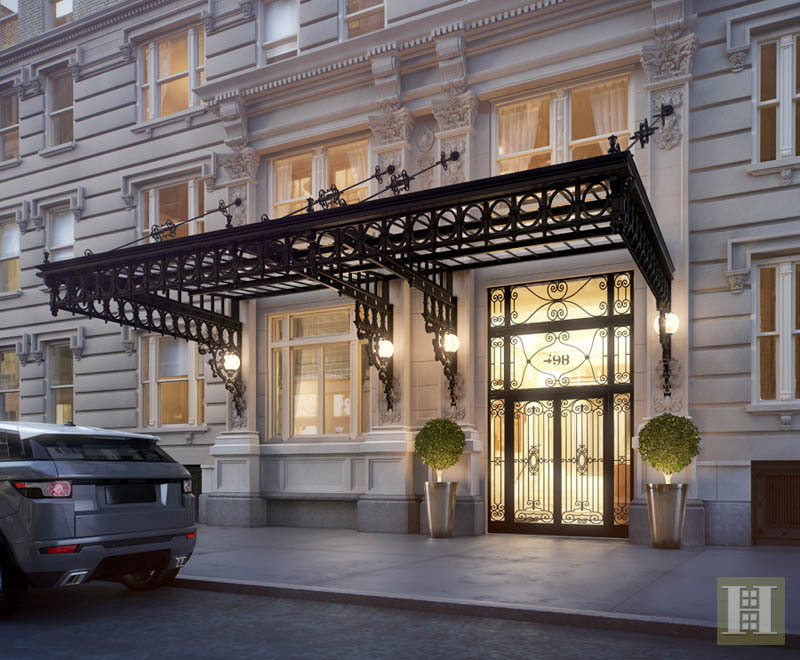 The magnificent bones of this beautiful turn-of-the-20th-century building provide an enduring structure for a completely new arrangement of apartments, with spectacular finishes - all designed to accommodate 21st-century lifestyles. A story of exceptionalism. Grandly proportioned three, four, and five-bedroom homes with interiors expertly designed by CetraRuddy Architecture. 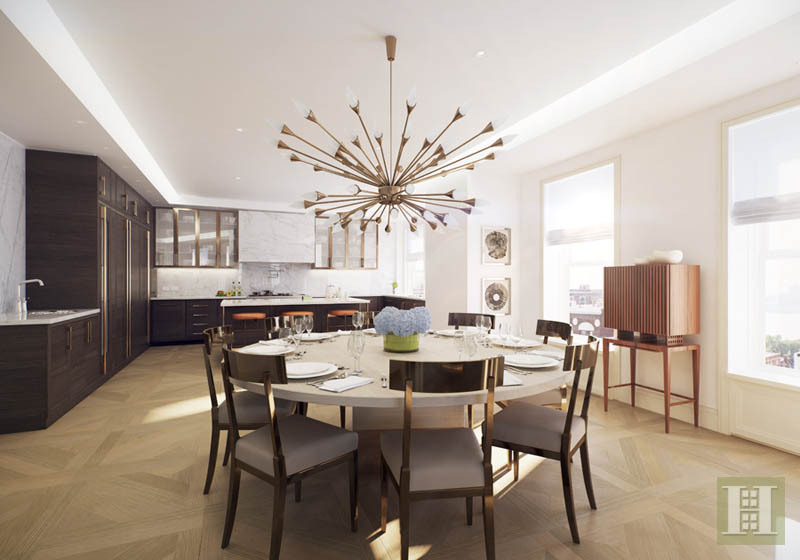 The level of imagination, artistry and workmanship at 498 West End Avenue has resulted in the creation of a new design vernacular - a place where space and light mix with elegant materials to infuse traditional forms with unrivaled inventiveness. With designer details such as custom chocolate-stained, cerused oak cabinetry in the kitchens, solid core interior doors with polished nickel hardware by E.R. 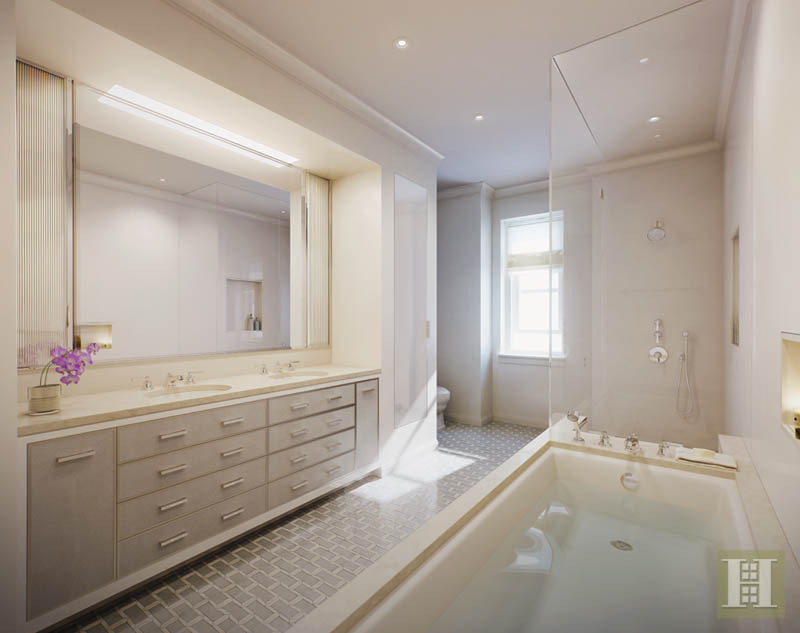 Butler, and mosaic marble floors and custom vanities with shagreen textured drawer facings in the bathrooms, 498 West End Avenue possesses a winsome sophistication. 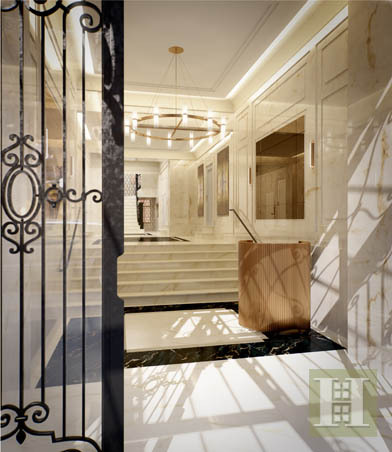 The 24-hour attended lobby has been tastefully redesigned featuring decorative wall panels in a geometric pattern, and walls and flooring in a composition of Vanillis Pearl polished and honed marble and St. Laurent honed marble. 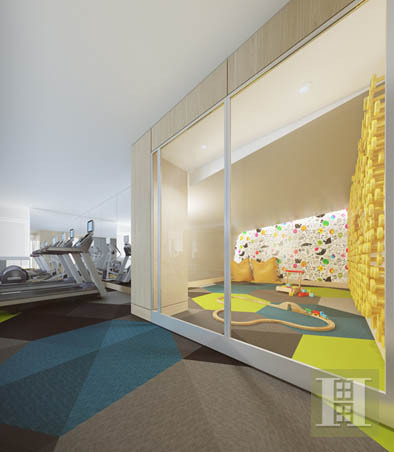 Additional conveniences include a fitness room, children's playroom with modular pin art wall, secured storage, and bicycle storage.